The United States has lifted the in-cabin ban on laptops and other large electronic devices on US-bound flights from Dubai and Istanbul, Emirates and Turkish Airlines said. Wednesday’s announcements come three days after restrictions were lifted on Etihad Airways’ hub Abu Dhabi International Airport in the UAE. 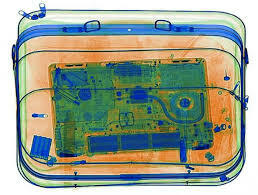 In March, the United States imposed the ban on flights originating at 10 airports in eight countries - Egypt, Morocco, Jordan, the United Arab Emirates, Saudi Arabia, Kuwait, Qatar and Turkey - to address fears that bombs could be concealed in electronic devices taken aboard aircraft. The UK quickly followed suit with a similar set of restrictions. The ban was lifted “effective immediately” on Dubai International, the world’s busiest airport for international travel, after new security measures announced by the US last week were implemented, an Emirates spokeswoman said in a statement. Emirates blamed travel restrictions imposed by US President Donald Trump’s administration for a drop in demand for US flights. The Dubai-based carrier cut flights to five US cities from May. It has since said demand was starting to return on some routes. Meanwhile, Turkish Airlines said in a statement that passengers travelling to the US could now take their laptops and other electronic devices on board. Chief Executive Bilal Eksi also tweeted that the airline expected a similar ban on flights to the UK would soon be lifted. Turkey’s Transport Minister Ahmet Arslan said on Tuesday that US officials would examine explosives detection machines at airports across Turkey, according to Anadolu Agency. The UK ban does not apply to flights from Dubai and Abu Dhabi.